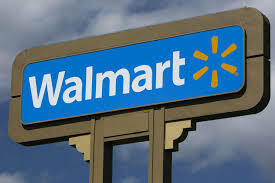 Wal-Mart Stores Inc. announced late last week it will donate $16 million in grants to seven nonprofit groups in an effort to close the skills gap for more than 12,000 American, entry-level workers in retail and related industries such as transportation and distribution. The grants are one piece of a five-year $100 million commitment to facilitate the education-to-employment system in this country, which Walmart Foundation President Kathleen McLaughlin said is broken, in a Fortune article. The seven non-profits — Achieving the Dream, The ACT Foundation, Dress for Success, Goodwill Industries, Jobs for the Future, McKinsey Social Initiative and the National Able Network — will partner with government agencies and employers to develop programs and tools to help entry-level employees build skills and find employment. For instance, Achieving the Dream will use its $1 million grant to create innovative education programs at four community colleges, with a goal to replicate them at other schools, tailored to workers specific needs. “If you’re a single mother with a couple of kids, you can’t go to community college for two years,” McLaughlin said. Presumably, Achieving the Dream will help to create alternatives. This latest move to promote skills development and employability comes not long after Wal-Mart announced plans to increase workers’ pay to at least $9 an hour. It’s certainly an impressive move, but I hope Wal-Mart plans to calculate detailed metrics to show how and how much its charitable efforts actually affect America’s under skilled and underemployed.